Join us for a day of movement, creating inspired routines and malas. 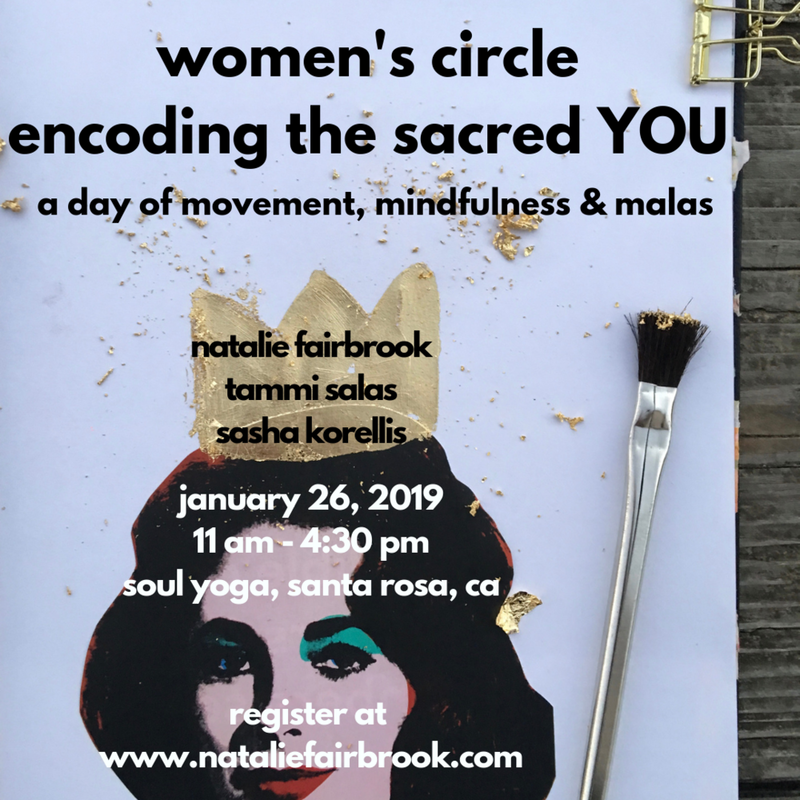 For this Women's Circle, we will open a sacred space for us as women to come together to use our bodies, minds and hearts to encode a new reality for ourselves in this expansive new year. Throughout history, women have gathered in circles to empower, share wisdom and befriend others of the same mind. It is a place where we will discover new ideas, move in new ways, install and integrate new rituals to strengthen our greatest purpose. We will connect with one another, reinvigorate our energy and reclaim our soul! We'll breathe together, move together, and create together! Workshop participants should bring a yoga mat, a journal, a bagged lunch, and an open heart and mind. Light snacks, sparkling water, and filtered water will be provided, and all participants will go home with their very own mala bracelet, morning routine handout and a custom oil blend with an affirmation card. Women's Circle :: Art. Yoga. Ritual.